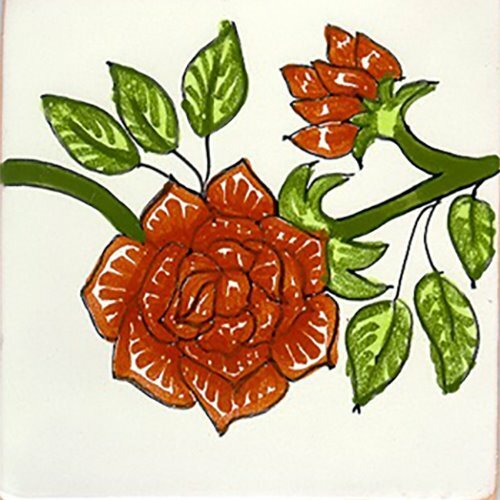 Talavera tile with "Red Rose" classic design for Moorish style home and restaurant interior decorating including kitchens, bathrooms, foyer walls, and stairs. Mexico artisan produced in talavera clay with free delivery to the US mainland. Simple, beautiful design, well done, looks very elegant, the colors are vivid and Have a high brightness, maintenance is minimum and very easy.